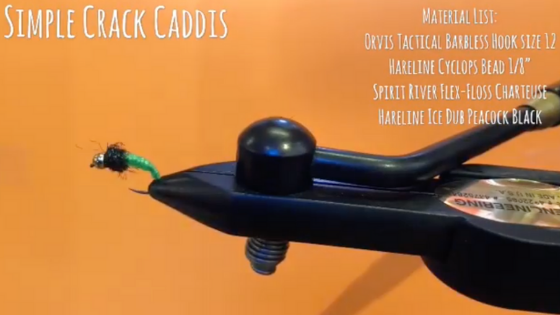 The Crack Caddis is an extremely simple but effective pattern to tie. The Flex-Floss and Dubbing colors can be changed to make various stonefly patterns, but here I’m using chartreuse with peacock black. This pattern works well for steelhead and trout alike!